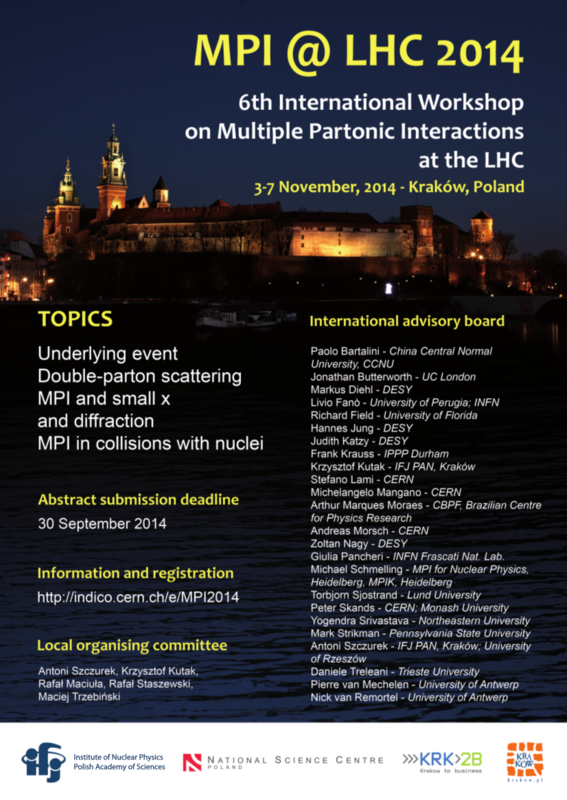 The aim of this workshop on Multiple Partonic Interactions (MPI) at the LHC is to raise the profile of MPI studies, summarising the legacy from the phenomenology at previous hadron colliders, reviewing the early results from the LHC and fostering contact between the theoretical and experimental communities. MPI are experiencing a growing popularity and are widely invoked to account for observations that cannot be explained otherwise: the activity of the Underlying Event, the rates for multiple heavy flavour production, the survival probability of large rapidity gaps in hard diffraction, etc. At the same time, the implementation of MPI effects in Monte Carlo generators is quickly proceeding at an increasing level of sophistication and complexity, which can have far reaching implications for LHC physics. The ultimate ambition of this workshop is to promote MPI as a unifying concept between apparently distinct lines of research, to profit from experimental progress in order to constrain their implementation in models, and to evaluate their impact on the LHC physics program. In addition, there is a possibility to join common lunch for 50 EUR/person (5 lunches). An excursion with conference dinner is planned at Thursday afternoon. The cost is 50 EUR/person. Please make sure that the bank transfer costs are not drawn from the transferred funds. There is also a possibility to pay the fee in cash at the day of arrival. Please note that in that case only polish zloty currency will be accepted! - 20% will be taken (after 15.10). - 200 zł (rejestracja po 1/09/2014). Koszt wspólnych obiadów wynosi 225 zł/os., cena wycieczki to 225 zł/os..
Pieniądze prosimy wpłacać na konto numer 66 1240 4722 1111 0000 4850 1109 w banku PKO SA. W tytule przelewu należy podać nazwę konferencji oraz imię i nazwisko wpłacającego.